My Dad and Jan recently made a trip to Glasgow and while they were there, they took a trip out to Falkirk. They went to see a new sculpture called the Kelpies which I would certainly like to take a look at if I get back up that way. Google it in the mean time. 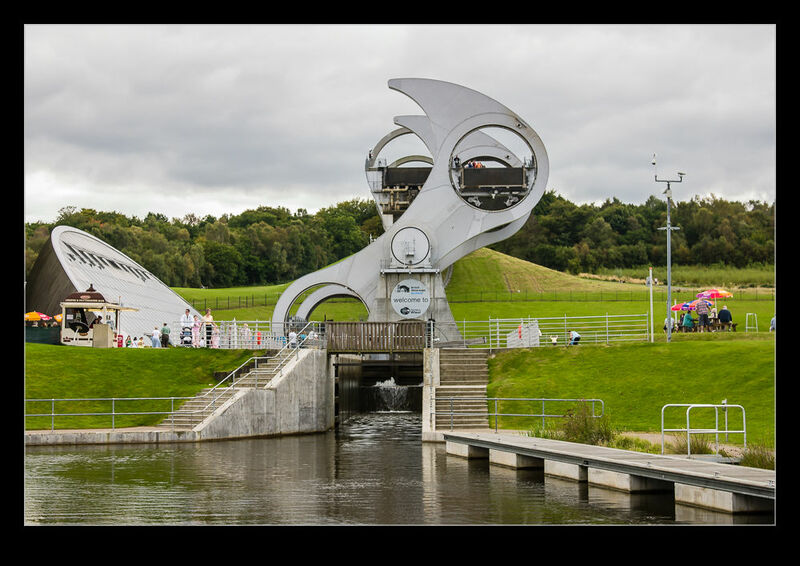 They also went to see the Falkirk Wheel. This is something we saw a few years ago. We were visiting friends in Falkirk en route to a wedding of some other friends. 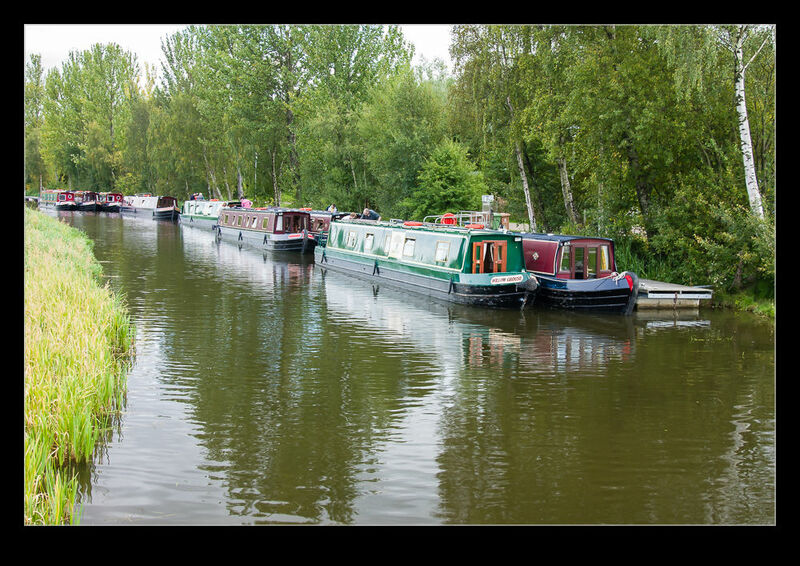 The wheel is a mechanism for raising boats between two levels of a canal. The canal is no longer in full operation but this section has been restored for visitors. Instead of a traditional lock system, the wheel has two elements that hold water and boats that are at opposing ends and counterbalance each other. The whole thing rotates to lift or lower boats from the lower basin to the upper basin. You can take a boat ride on the lift if you have the time. We had a limited time there so we just watched it in operation. 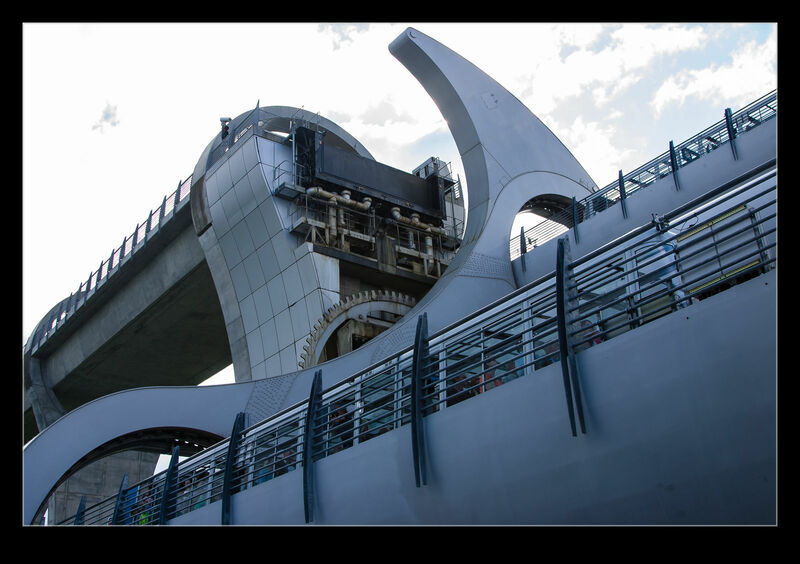 Not only is it a cool piece of engineering but it is also elegantly designed. Definitely one to see if you are close. 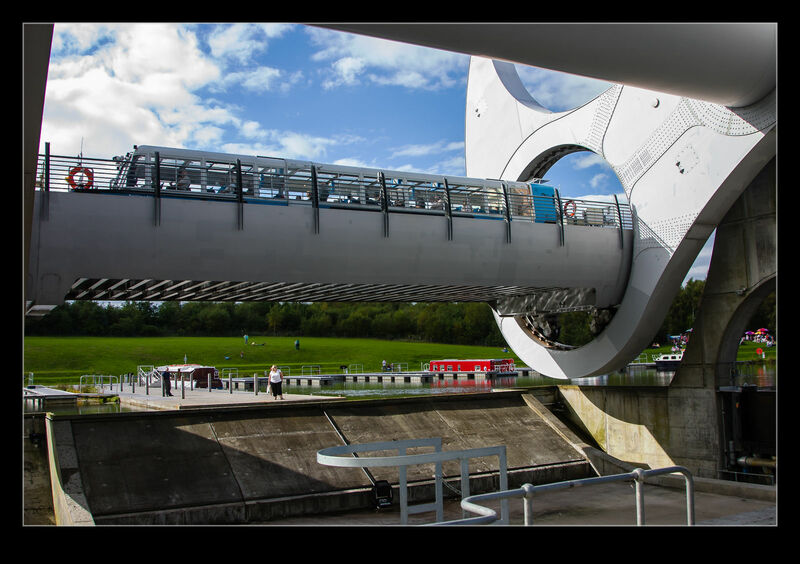 This entry was posted in photo, Travel and tagged boat, canal, Falkirk, lift, photo, Scotland, wheel. Bookmark the permalink.